It shows how words within the same family are placed at different levels and is aimed at teachers who can use it to plan courses, syllabi and lessons. The WFF is the product of an ELT research award and was designed by Richard West. What is the Word Family Framework (WFF)? The WFF is a searchable resource for teachers and learners of English that consists of over 22,000 vocabulary items arranged according to six levels aligned to the Common European Framework of Reference. What can the WFF be used for? Identifying all the vocabulary items at one CEFR level. Identifying all the vocabulary items at several CEFR levels. Identifying the CEFR level of an individual word or group of words. Identifying the CEFR levels of all the members of a word family in order to decide which items may be worth learning. Identifying unknown members of word families in order to extend a learner’s vocabulary. How can the WFF be searched? How does the WFF link to the Common European Framework of Reference (CEFR)? It is just this selection and ordering of lexical elements that the WFF offers to users. How large is the WFF? How were the words in the WFF chosen? The vocabulary items presented in the WFF have been chosen from a survey of a large number of published sources and word lists produced in the UK, USA, Germany, Europe and China. These lists vary in size and function, and the items in the lists were selected according to differing criteria. The research that preceded the development of the WFF therefore began by surveying these lists in detail to identify the levels of agreement between these different sources. 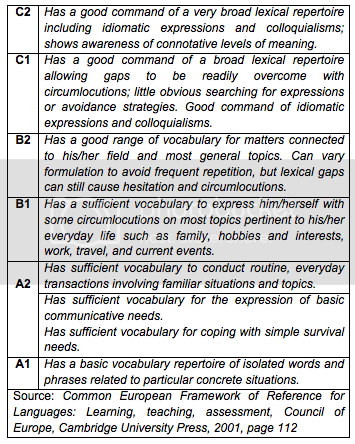 In this way, the WFF presents a consensus of views about the level of each vocabulary item. How does the WFF differ from dictionaries and word lists? 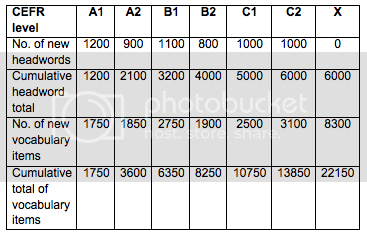 What is column X and how do I use it? 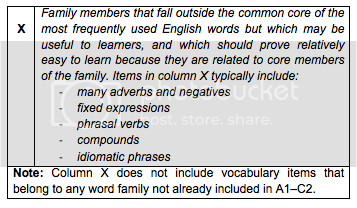 Learners and teachers may select from column X the items which they find useful and easy to learn or teach. 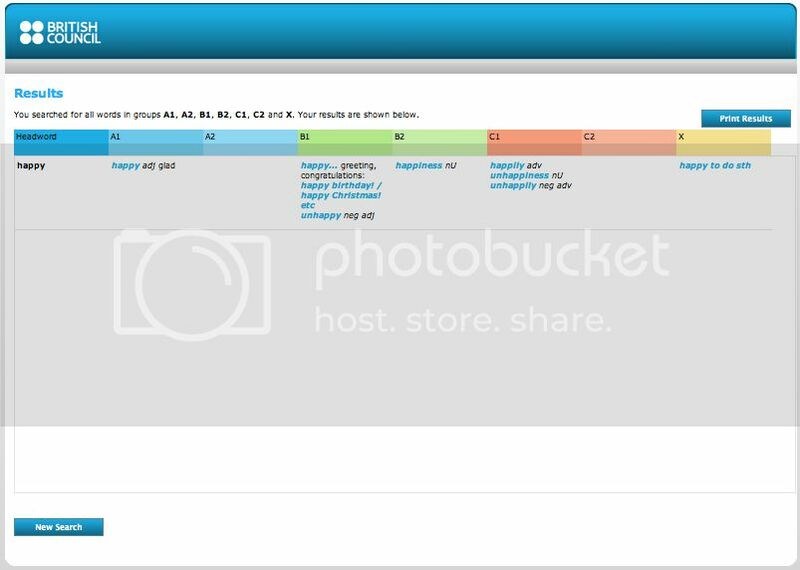 In this way, the WFF allows users not only to select vocabulary at a particular level (vertical searching), but also to look across levels at items within the same family (horizontal searching). What does the WFF not include? The WFF includes a wide range of over 22,000 items of English vocabulary. It covers both British and American English, with variant spellings (honour/honor) and variant terms (lift/elevator). However, it is a framework of general English and so it does not include vocabulary items from academic, business, scientific or technical English. Neither does it include dialect or obsolete words found outside the common core of British or American English. Can I adapt the WFF to my own context? It is recognized that the WFF may not be fully appropriate for all learners or all learning situations. For this reason, the WFF will incorporate an interactive dimension, and users are invited to discuss their views and the ways they use the WFF with the British Council and other users in the WFF discussion forum (click for access). Our intention is that this discussion will lead to the introduction of a facility which will enable users to download and adapt the WWF to their particular local contexts. The WFF was developed for the British Council by Richard West, who would like to acknowledge the contributions made by Dr Wendy Scarlin and Mrs Judy Hermitte. To use the Word Family Framework, follow the link below or click here. really useful!!! specially for exam preparation. The download option (number 3) doesn't work. Could you fix the link? I would love to know more about the background as to how they made this list, how they chose the cut off point(s) and the role of the corpus. Is there an article somewhere on this? Thanks in advance. Excellent tool, thanks a lot for the article! I will try and use it in my teaching in combination with the European Language Portfolio.